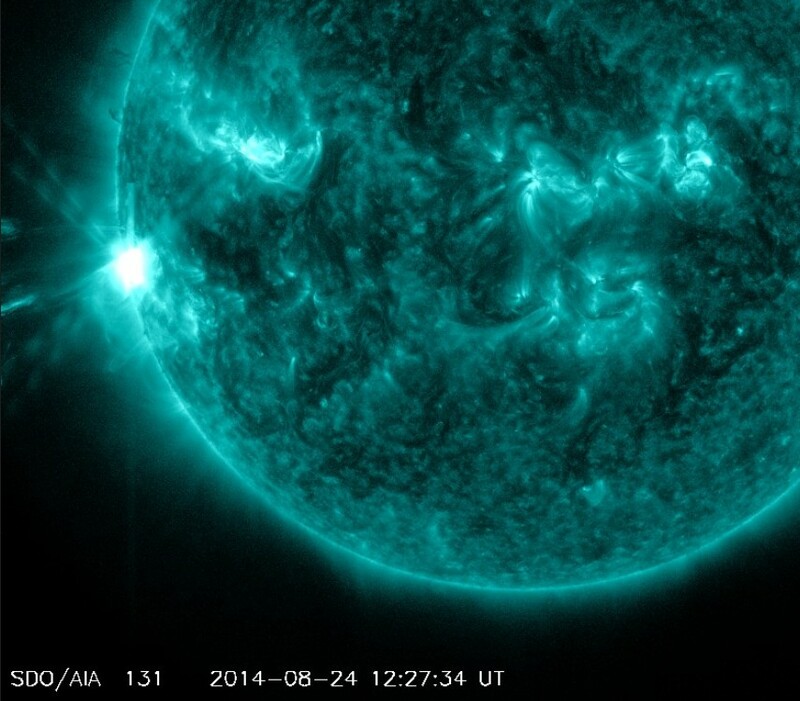 A moderately strong M5.9 solar flare was surprisingly observed around region 2151 located in the southeast quadrant at 12:17 UTC on August 24. 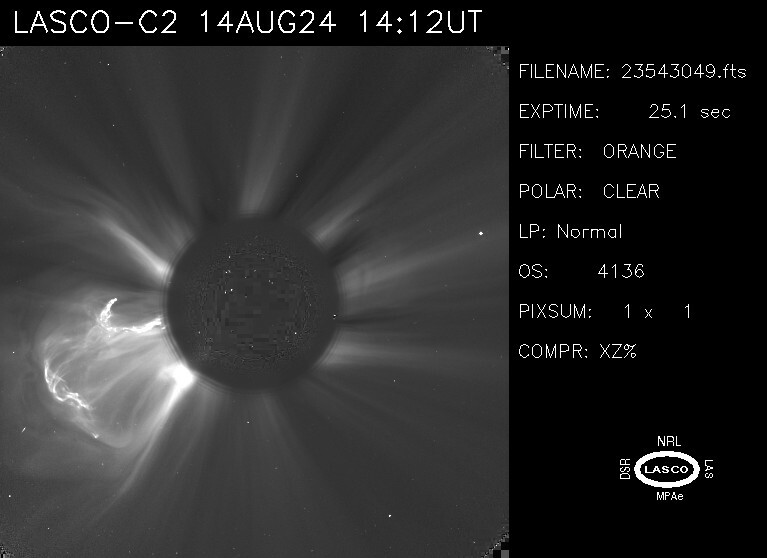 The event was eruptive and a bright CME became visible soon after in coronagraph imagery. 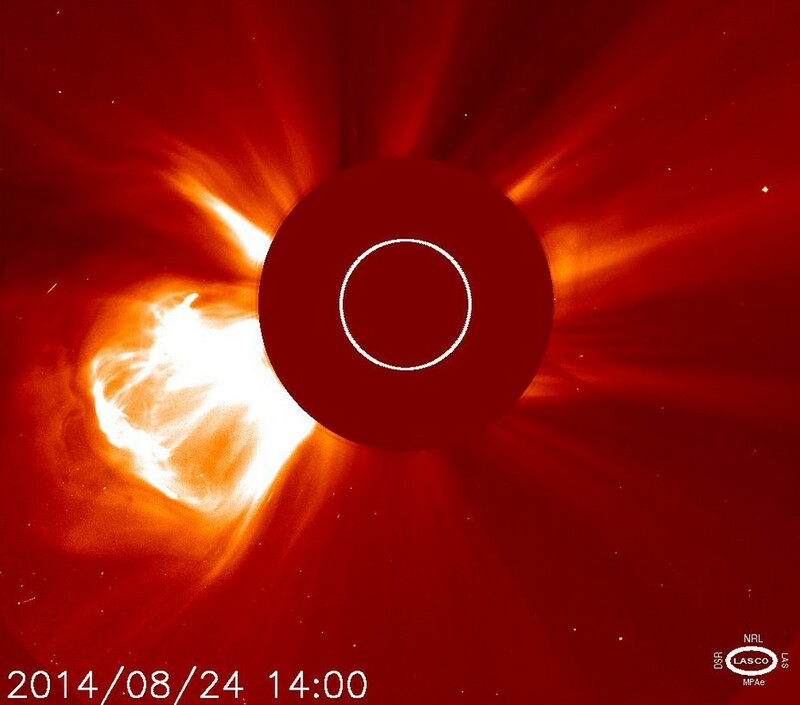 Because of the location near the east limb, the plasma cloud is likely directed to the east and away from Earth. 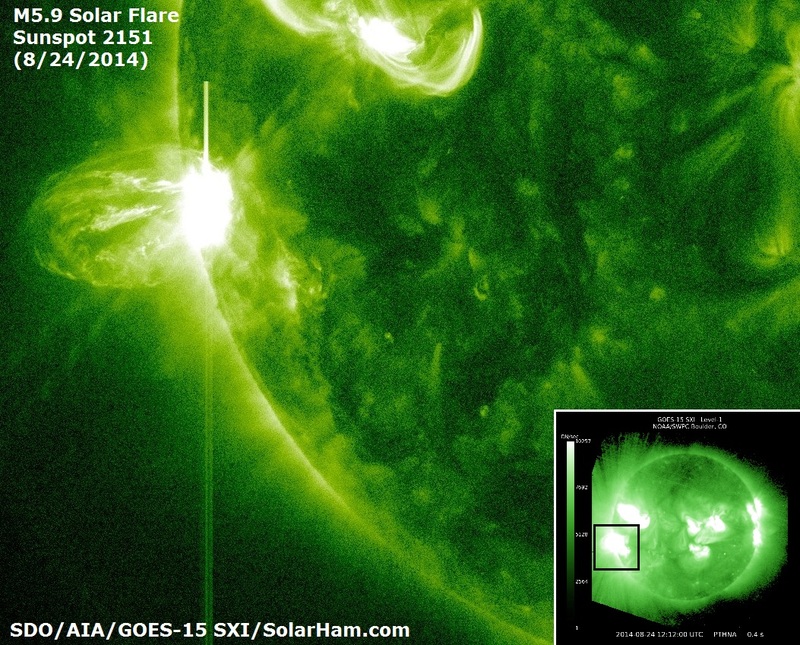 A CME tracking model released by the Goddard Space Flight Center confirms this. 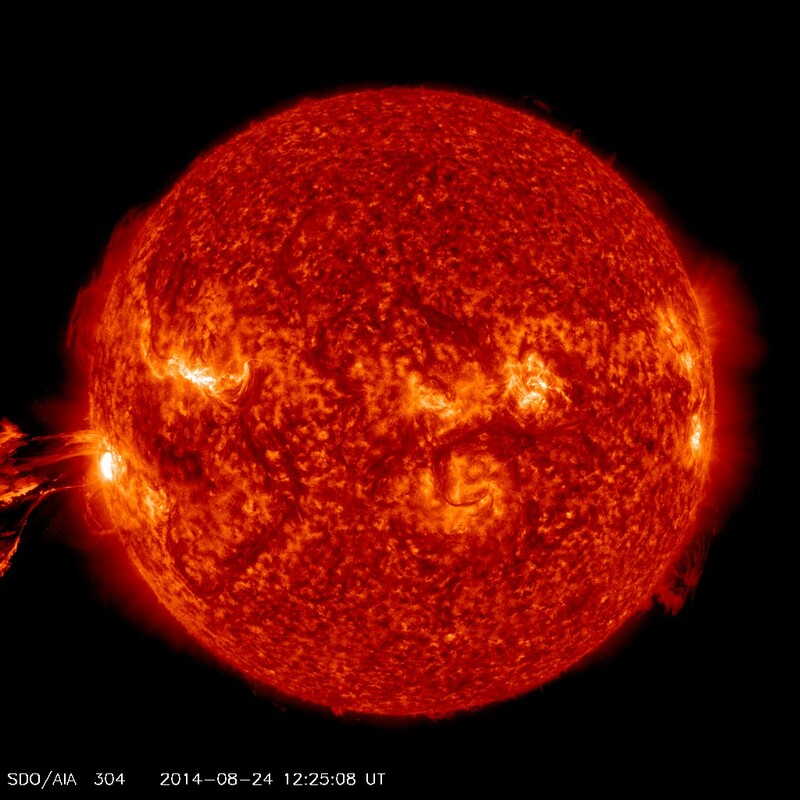 A CME tracking model released by the Goddard Space Flight Center shows the plasma cloud missing well to the east. There should be little to no impact on our geomagnetic field. 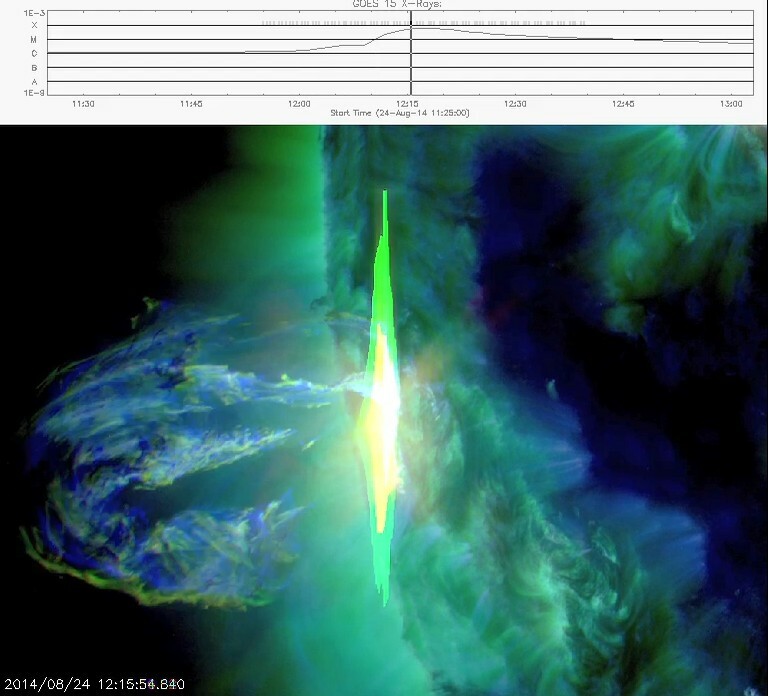 A recap look at the M5.9 solar flare event around region 2151, along with a bright coronal mass ejection (CME) that appears to be headed to the east and away from Earth. I will provide updates once a CME tracking model becomes available. 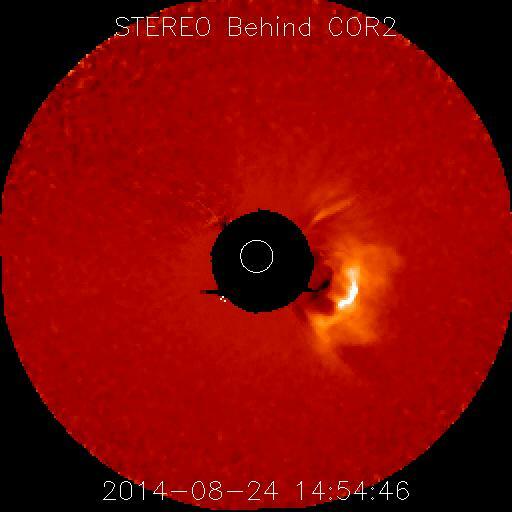 CME now becoming visible in the latest LASCO coronagraph imagery. Located on right side of page. 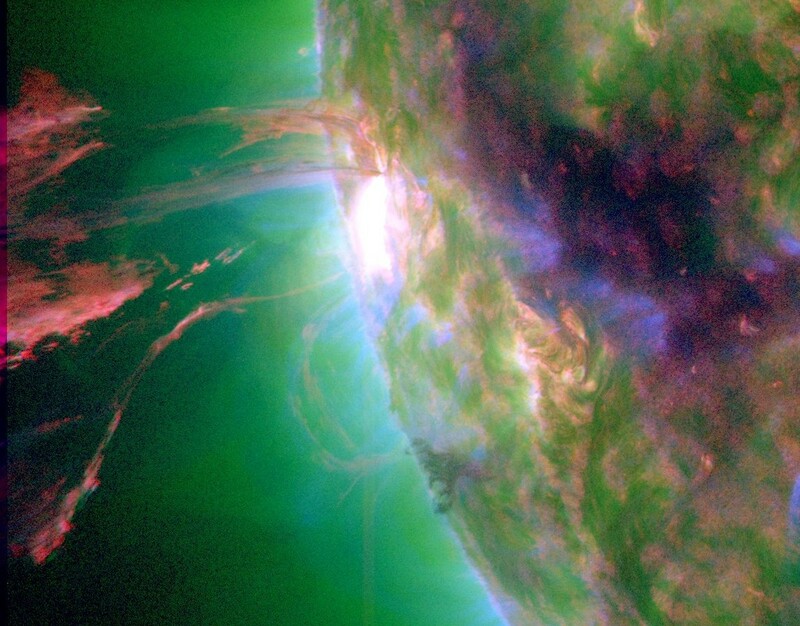 The event was associated with a 10cm radio burst (TenFlare) measuring 409 solar flux units (SFU) and a Type II Radio Emission with an estimated velocity of 593 km/s. 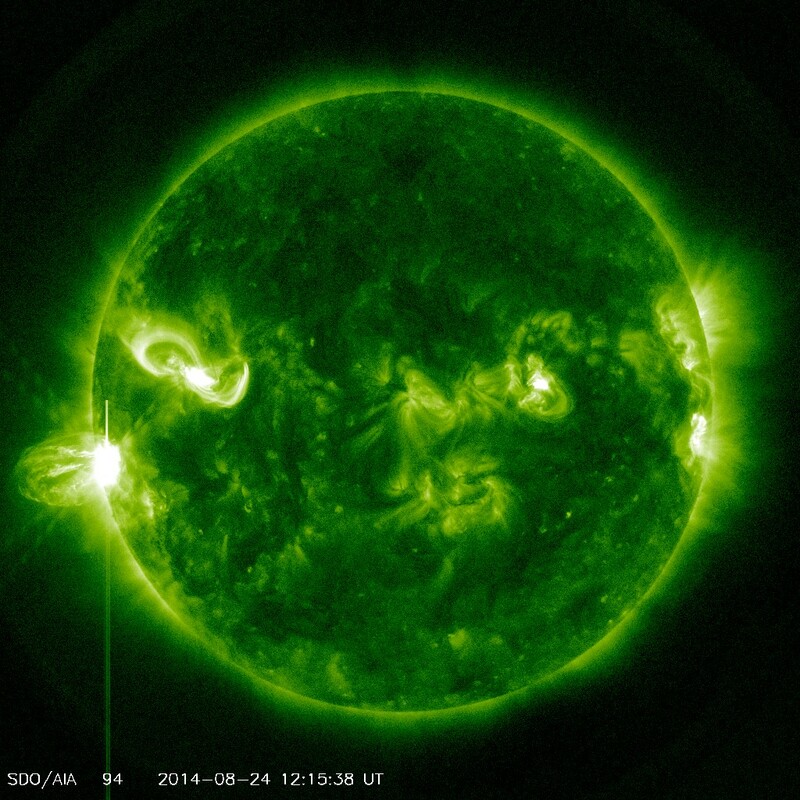 A large release of plasma was observed in SDO/AIA 304 imagery. 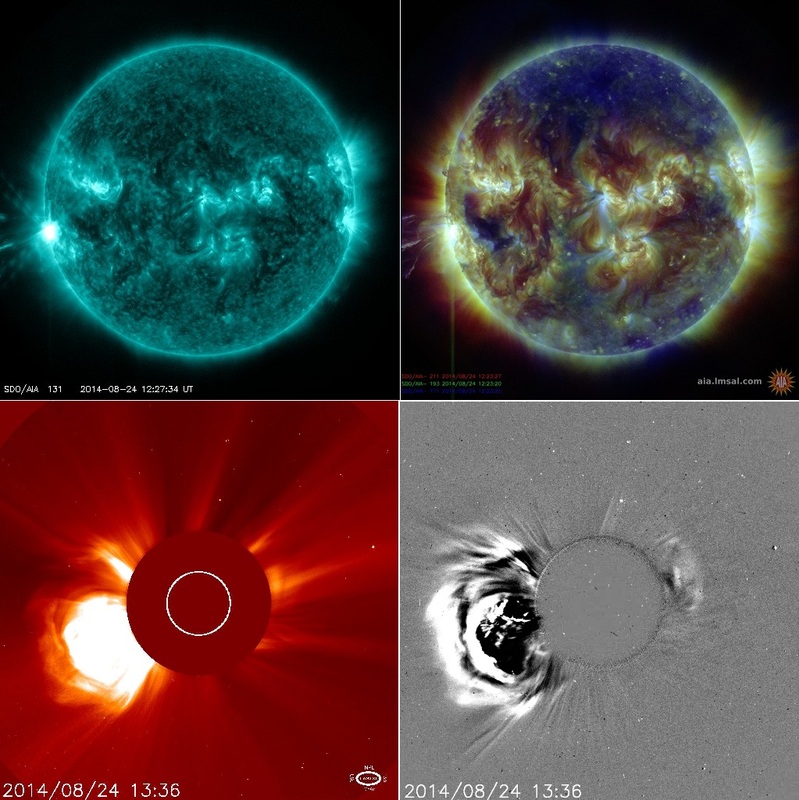 A coronal mass ejection (CME) is very likely. Because of the location of this event near the east limb, it will likely be directed mostly away from Earth. More updates regarding a possible Earth directed component to follow once updated coronagraph imagery is available. A moderately strong M5.9 solar flare was surprisingly just observed around region 2151 located in the southeast quadrant. Based on imagery, it also appears to be eruptive. 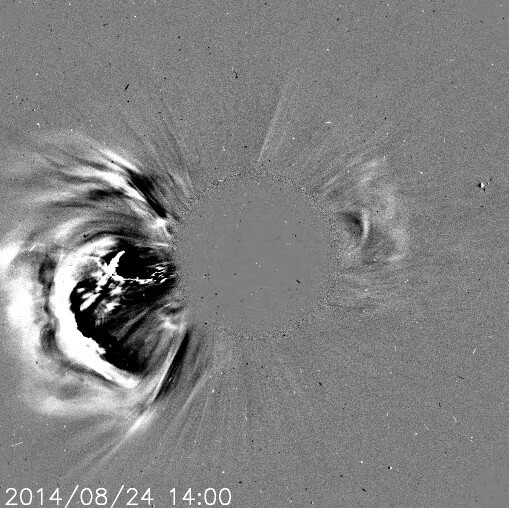 More updates to follow regarding a possible coronal mass ejection (CME).